With this Friday being ANZAC day it is important that we all pause and remember those who made the supreme sacrifice. As road transport was still in its infancy, railways played an important part in World War One. Many Australian railway personal involved both here and abroad, with several railway squadrons. ANGRMS at Woodford and the Workshops Museum at Ipswich both have Hunslet steam locomotives built for use in World War 1. 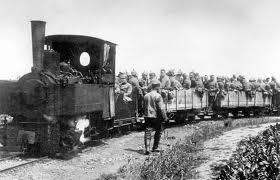 Light railways played an important part in WW1. 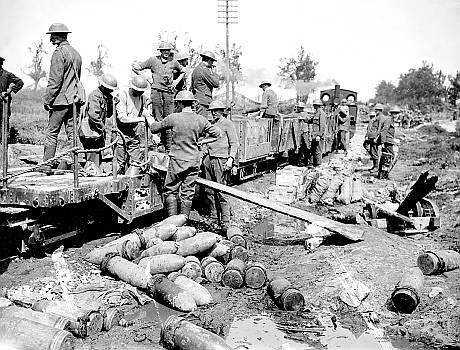 In the environment of the Western Front, main line railways could get no closer than five to eight kilometres from the trenches , as they were a prime target for artillery and were very expensive to install and maintain. 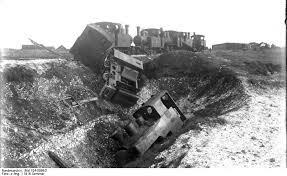 Therefore light railways were a vital link between the mainline railways and the front.